As Washington has been rocked with political drama in recent weeks, investors, pundits and voters have watched with nervous horror and scorn. 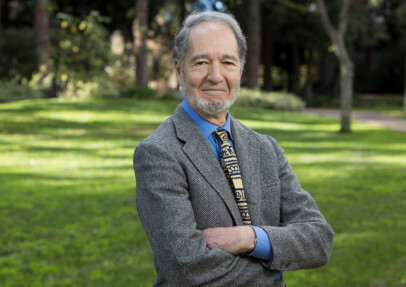 Over in the more rarefied environment of the University of California, Los Angeles, however, Jared Diamond, 76, professor and guru of environmental geography, is monitoring these peculiar power rituals with a more scholarly — and sweeping — perspective. The reason? In the next couple of years, Diamond plans to write a blockbuster analysis of how modern civilisations “manage” the process of change and crisis. Some of this will focus on countries such as Japan and Britain; Diamond believes, for example, that Britain’s response to the loss of its empire after the Second World War was striking. But Diamond’s analysis of “conflict” will also cover the less peaceful world of Washington as he tries to assess whether modern America can handle the process of change — or not. “It would be premature to say what I make of [US politics] but what is clear is that the polarisation and intolerance in America today is greater than at any point in my lifetime,” he states, adding rhetorical questions with professorial earnestness. Whatever explanation Diamond eventually settles on as the cause of Washington’s woes, it is likely to be provocative — and blend the physical and cultural aspects of our lives in a dizzying bricolage. These, after all, have been the traits that have made him wildly popular in recent years, with a string of bestselling popular science-meets-history-meets-ecology books. But even as he obsessively observed gall-bladders, Diamond developed a second passion: birds. In his twenties he started to visit Papua New Guinea and used the material gathered to write academic papers in the field of ornithology. That led him into yet more — seemingly unlikely — areas of intellectual inquiry such as environmental geography, followed by physical and cultural anthropology (or the study of human evolution and culture). This led Diamond to produce his first bestseller, “Guns, Germs and Steel”, which endeavoured to explain why the Eurasian people of North America and Europe displaced other native Indian American and Asian cultures by highlighting differences in ecology. It was a controversial thesis. But it turned him into something of a cult hero: 16 years after the book, when I tell friends that I am interviewing Diamond, one remarks that “‘Guns, Germs and Steel’ changed how I thought.” In 2002, Diamond abandoned gall bladders, ending his career in physiology, to devote himself to writing. In 2005 he published another sweeping analysis, “Collapse”, which explained why some societies fail and others flourish. Then last year he published “The World Until Yesterday”, which describes how humans live in societies which are not “WEIRD”, or “Western, Educated, Industrialised, Rich and Democratic”. This is a fun, lively read that sets out to illustrate two simple points: humans can live their lives in numerous, different ways; and the WEIRD approach is not always best. On the contrary, America and Europe could sometimes improve their own cultures and lives by looking at how other, more traditional cultures live. And, to illustrate this, Diamond presents the reader with a host of colourful stories in places ranging from Papua New Guinea to the Amazon and African deserts, focusing on issues such as diet, child-rearing and dispute-resolution. Some of these anecdotes are mundane; others are colourful (there are lengthy tales about widow-strangling and infanticide). But the account weaves together a powerful tapestry that — if nothing else — forces us to recognise that it could be perfectly possible for the western world to change how we raise our children, sort out divorce, wage wars or guard our health — if we choose to widen our gaze. More specifically, “The World Until Yesterday” explains that in many non-Western societies, in places such as Papua New Guinea, it is considered entirely normal for people to speak several languages. And this not only helps groups to maintain more social ties but also has a tangible benefit that could be of use in the WEIRD world: scientific research shows that if you use your brain to speak several languages you are less likely to suffer from dementia. It is provocative stuff — having read Diamond’s book I was left reflecting on many aspects of child care myself. And as somebody who once studied for a PhD in cultural anthropology, I am thrilled that Diamond’s work has highlighted a point that is central to the discipline: namely that studying “other” cultures is not just valuable in terms of understanding how the wider world works — but also because it helps to “flip the lens” and garner fresh perspective on our own lives. As I chat with Diamond, however, I am also aware that a certain irony hangs over his work. In some senses his tomes are a powerful advertisement for anthropology — he cites no fewer than 39 anthropology studies in his latest book, which now appears on some undergraduate courses. “Whenever I give a public lecture I get people coming up and saying that they went into anthropology because of my books,” he cheerfully declares. And yet if you talk to anthropologists about Diamond, some are scathing if not hostile. So much so that Survival International — an advocacy group for tribal people — issued a statement criticising “The World Until Yesterday”. And groups such as the American Anthropological Association have staged critical debates on his work (“which they didn’t even ask me to attend myself”, Diamond says with some chagrin). Some of this criticism seems to reflect academic jealousy or snobbery; there are complaints, for example, that Diamond doesn’t use many footnotes and only cites a narrow pool of ethnographic texts (many based on Papua New Guinea). But some anthropologists are angry that the examples of “traditional” culture are luridly presented, and that Diamond tends to assume that non-WEIRD societies live like WEIRD cultures did millennia ago. There has also been criticism of the suggestion in his earlier books that culture is driven by environmental and ecological factors; to cultural anthropologists this sounds unpleasantly determinist. Diamond bristles when I cite those criticisms and insists that the vast majority of anthropologists have welcomed his book. “Whenever I hear the word environmental ‘determinism’, I know you will get a poor quality of reasoning,” he declares, explaining that people have misunderstood him: he does not view culture as something merely determined by material factors. Instead, he is fascinated by the variations of culture within a single ecosystem, citing the colourful example of widow-strangling in Papua New Guinea. That means, he concludes, that both environment and culture need to be analysed: if you want to understand political polarisation in Washington, in other words, look at Tea Party ideology and the advent of cheap airline flights. But anthropologists are sometimes ill-equipped to take this common-sense approach, due to infighting. The key issue, it seems, is that Diamond has had the audacity to break the boundary taboo. “Silo-busting is exceptional in academia — one is expected to specialise. There is a lot of turf warfare,” he notes, explaining that when he first started studying ornithology he kept this secret from his colleagues in the medical department. “Luckily my [academic] papers about birds were published in journals which no gall bladder physiologists ever read. But when my review committee eventually found out about what I was doing, they voted against my promotion. In academia, working in multiple fields is not a benefit but a penalty.” So much so that he now advises young academics to “make sure you get tenure before you start publishing in a second field”. These days, Diamond has found a solution to this, of sorts: although he was offered professorships in both the UCLA departments of anthropology and geography, he chose the latter. However, UCLA is sufficiently broad-based in its teaching approach — and broad-minded — that he is able to keep hopping between disciplines. And, as he knows, it is this bricolage approach which not only makes his books so readable but also enables him to develop his insights. So would he prefer to live among the “non-WEIRD” people, to benefit from their wisdom, rather than have to cope with the bizarre rituals of American universities or meetings with journalists? For the first time in almost an hour, Diamond cracks a wide smile and shakes his head. “My life is in California, I like it there. I like going to Papua New Guinea, too, and I have gone so many times, but just for short periods,” he admits. It is an answer that might provoke yet more questions from anthropologists. But it also captures the spirit of his books: we might not want to entirely abandon our western ways but we know that by peering outside our lives — however briefly in a book — we can better understand our own peculiarities, and sometimes even improve on them. Maybe it is time to pack Congress off to Papua New Guinea for a short break. Or failing that, to read Diamond’s book — starting with what can be learnt from “traditional” forms of resolving tribal warfare. Jared Diamond’s ‘The World Until Yesterday’ is published by Penguin Books.